Onko sinulla kysymys kohteelle Silka Far East Hotel? Olet sitten liike- tai lomamatkalla, Silka Far East Hotel on täydellinen valinta kun kohteena on Hong Kong. Tähän 3 tähden majapaikkaan on helppo saapua, sillä se sijaitsee vain 20 km päässä lentokentästä. Heille, jotka haluavat seikkailla ympäristössä, Sam Tung Uk museo, Panda Place, Tsuen Wan muiden muassa tarjoavat vain esimerkkejä matkailijoita odottavista nähtävyyksistä. Silka Far East Hotel tarjoaa sinulle ensiluokkaiset Dorsett Hospitality International -ketjua luonnehtivat palvelut ja mukavuudet. Vieraat voivat nauttia mukavuuksista paikan päällä, ilmainen WiFi joka huoneessa, 24h vartiointi, kauppa, päivittäinen huonesiivous, posti sekä monet muut näihin lukeutuen. Silka Far East Hotel kätkee sisäänsä 240 tyylikkäästi sisustettua huonetta, joissa monista on taulu-tv, kokolattiamatto, tossut, pyyhkeet, savunilmaisin sekä monta muuta viihtyisyyden maksimoijaa. Majapaikan vapaa-ajan aktiviteettien valikoima takaa, ettei tekeminen lopu kesken. Silka Far East Hotel osuu maaliin loistosijainnillaan ja yhtä loistokkailla mukavuuksillaan. Majapaikka tarjoaa vieraiden käyttöön maksutta älypuhelimen 4G-verkolla, rajoittamattomilla paikallispuheluilla sekä ulkomaan puheluilla valikoituihin maihin. Ole hyvä ja ota yhteys majapaikkaan lisätietoa saadaksesi. dorsett far east hotellin sijainnilla tsuen wanin kaupunginosassa on sekä hyvät että huonot puolet. hyviin puoliin kuuluu se että lentokentälle on vain 20-25 minuutin matka taksilla. hong kongin keskustaan sen sijaan on yli 30 minuutin matka metrolla (+ 10 minuutin kävely metroasemalle). hotellihuoneet ovat pienet mutta siistit ja hyvin varustellut. henkilökunta on ystävällistä ja läheisyydessä hyvät ostosmahdollisuudet. sijaintinsa vuoksi hotelli ei kuitenkaan ole sovelias varsinaiseen nähtävyyksien bongaamiseen vaan enemmänkin liikematkustamiseen tai shoppailuun. Taksit eivät välttämättä tunne hotellia joten kannattaa pitää kiinankielinen osoite mukana. Henkilökunta palveli hyvin eikä yöllä kuulunut meteliä. Soveltuu lyhytaikaiseen oleskeluun koska huoneet ovat pieniä. Sopii kaikentyyppisille matkailijolle jotka eivät pidä ruuhkista. osassa huoneita ei ollut jääkaappeja mikä oli suuri puute. aulassa oli iso taulutelevisio ja ccn uutiskanava joka oli aina päällä tästä plussaa. uima-altaalla ei ollut paljon ihmisiä ja vesi oli kirkasta. sai ottaa aurinkoa rauhassa. 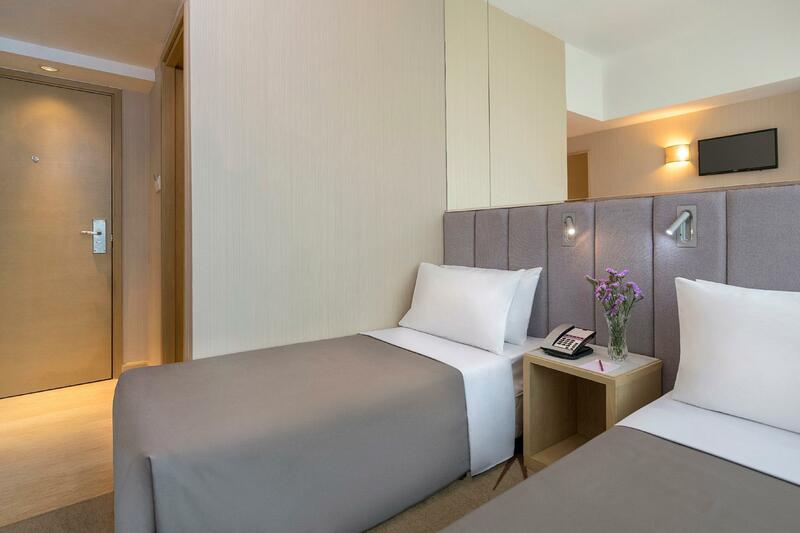 Comfortable family holiday stay at this hotel in Tsuen Wan, which happens to be close to a local mall (lots of nail shops and locals eats). A bit far from touristy areas like Mongkok and TST but a quick MTR ride away. Rooms are decent as they are small but clean and comfortable enough. Provided a baby crib during my stay. Guests’ feedback always help us improve our service to the next better level and we thank you for your comments. I stay here many times already, the location of this hotel is good and are easy for me to search for foods around this area. Hotel are clean and staff and ok and speak English. The only thing is that the room are small and the bed are short for me even I stand only at 168cm and my leg are always out of the bed. A bit not happy with some of the guest who smoke in the room at the non smoking floor. if want to smoke why don't choose at flor that allow smoking? This caused annoying alarm light to blink almost half an hour and you will not be able to sleep after that. Thank you for your feedback. We hope to have a chance to host you again soon. Arrived around 11am, i was fortunate to be checked in early and It was so nice of the front desk female receptionist to do that. Great Friendly Staff! Hotel is well maintained . Typical HK hotel room dimensions. Great location, nearby food establishments and commercial shops. 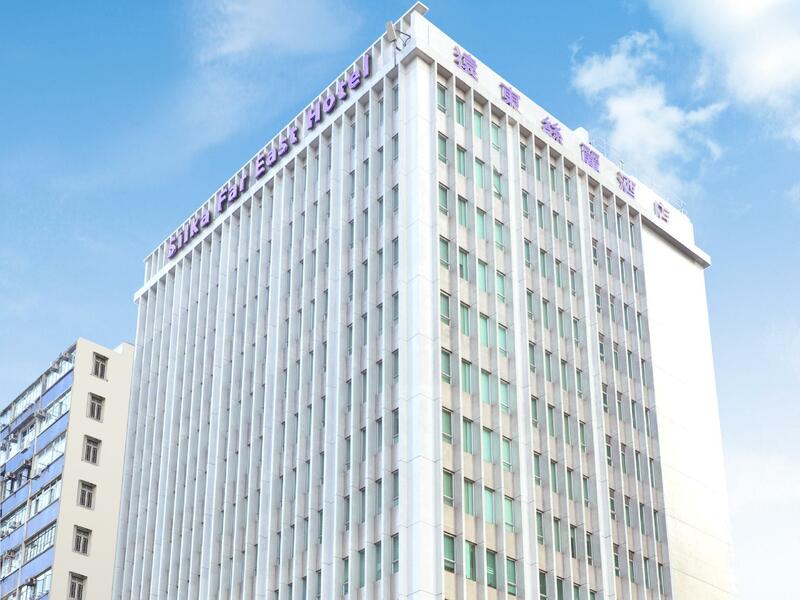 5to10min walk to NamFung & D-mall, city center & MTR Station. 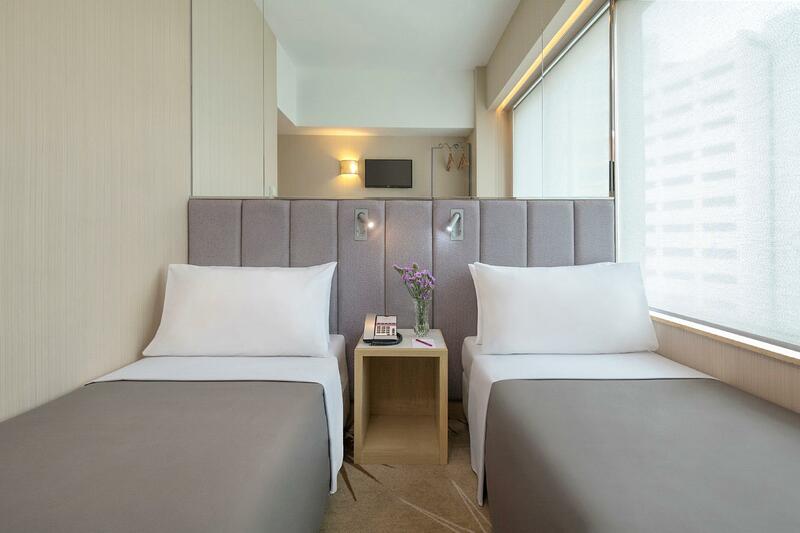 Overall, a great place to stay when in Tseun Wan. Highly recommended! I had an enjoyable stay and will definitely be back! Security safe and fridge is redundant. Your front office staff Mr Jason was rude to us. When we request for bus services to Mongkok. He shows his displeasure, when we forget our room number by throwing the clip board on the table. The management should look into creating more spaces to store guest luggages. Very convenient location, lots of food and shopping without the crowds of downtown. Room is clean and tidy. Nice feature to have the free phone for local use and internet connection. Close to MTR station and public transport to get around easily. Free shuttle bus to Airport Express station and downtown Mongkok shopping district. I would definitely stay there again. Stayed there while typhoon mangkhut was passing close to Hong Kong. Our check out time was when mangkhut was at it closet to the territory. The hotel staffs were kind enough to give us shelter inside the hotel cafe. We were offered free food and hot drinks. Time passed real quick while chatting with the friendly hotel staffs. At dusk we were able to make our way to the underground train to continue our journey. Thank you for your feedback and we are happy to know you enjoyed your stay! Enjoyed my stay here as a family at Silka Far East. Baby crib provided. No heater provided though and it was pretty damn cold in the room during our time in Hong Kong. It is still a very busy area, but it is good for the night before/ after going to the airport. We are happy to know you like our location and find it easy to get to the airport. Look forward to seeing you soon again. 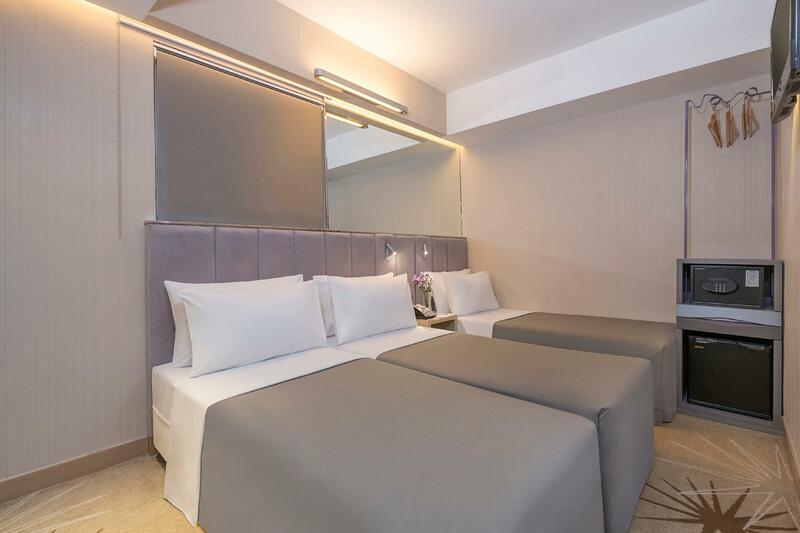 the hotel rates are lower compared to equivalent hotels down in Central or Tsim Sha Shui; A bit far from the centre but with the efricient MTR the distance from Hongkong island should only be a minor inconvenience. Room was quite small but this is HK and most hotel rooms other that those at the very top end will be like that. I arrived before noon and the hotel allowed me to check in even though official check in time is 2 pm. I have stayed several times at this hotel, and I can honestly say that they have been consistent in providing excellent accommodations. I got worried at first reading avout some recent reviews, but when I got to the hotel, everything was A-ok. Receptionists and hotel staff were pleasant and they try to speak English. Hotel is clean - from the lobby, to the room. For smokers, Request for a non-smoking room, you can smoke downstairs at the park beside the hotel anyway. I got it booked on a pricey scale but if you are able to wait on agoda's discounted days, you can get it for as close to 80usd/night. 5-10min walk to Tsuen Wan station (far from busy busy Hong Kong). There are several malls nearby, circle K, 7-elevens, and for foodies, some street food stands. Thank you for your review. We are pleased to learn that you had enjoyed your stay with us and your overall experience was a comfortable one. 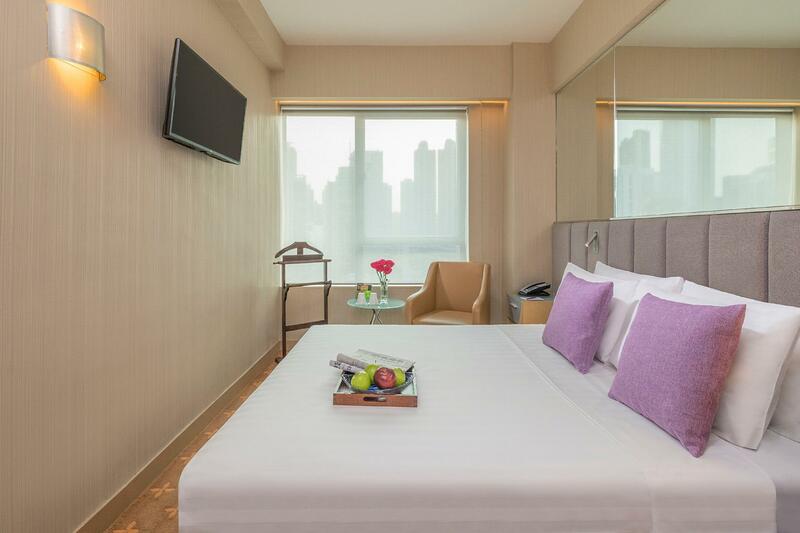 Besides, it is nice to learn that you found our hotel location very convenient and enjoyed our hotel service! It has been our pleasure serving you. We look forward to welcoming you in the near future. We read several bad reviews but took the risk and didn't get disappointed. 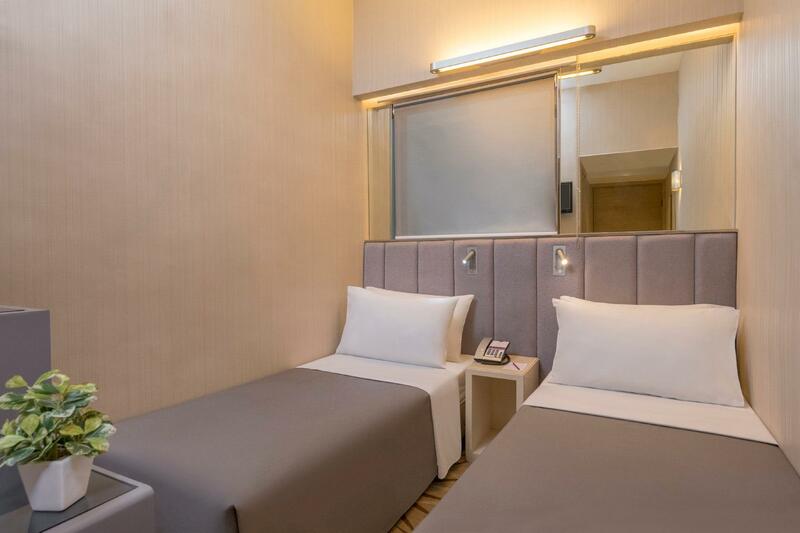 This hotel is approximately 30 mins away from the airport (by taxi) and next to the red line (Tsuen Wan to Central), ± 5 mins walk to Tsuen Wan MRT Station. Single bed size is ± 2’9 x 5’9, would be a little uncomfortable for those who are above 6’ tall. The staff was really friendly and helpful. The location is near shopping centre, restaurants, bus stops, as well as ATM machine. This hotel also provides good wifi connection. 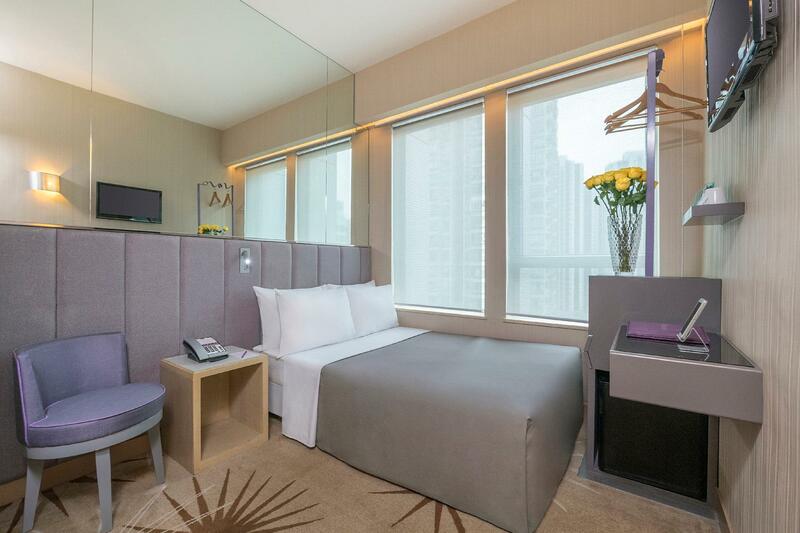 It might not the best hotel in Hong Kong, but you can consider this hotel if you have morning flight or want to get to Disneyland by public transportation, MRT would be really crowded during that hour. The price is cheap and the location is good to buy some food near around. The bed was quite hard and the wall of bathroom was not clean. But so far the bathroom is acceptable. The receptionist provides good service upon my check in, I do not remember their name but they are two male staff. May come again. Tsuen Wan MTR Station on 0.29 km.